Ivanhoe Reservoir in the upper Fryingpan River headwaters serves as a collection point for water about to be sent through the Busk-Ivanhoe tunnel. The view toward the West Slope from Ivanhoe Reservoir. DENVER — During oral arguments Tuesday at the Colorado Supreme Court in the Busk-Ivanhoe water case being pursued by Pitkin County, Justice Gregory Hobbs sounded as if he was scolding the city of Aurora for its 22 years of unlawful use of water from the headwaters of the Fryingpan River. “What is the justification for 22 years of municipal use when the decree plainly says irrigation?” Hobbs asked attorney Austin Hamre, who was representing Busk-Ivanhoe Inc., a ditch company owned by the city of Aurora. Hobbs, who has announced his retirement from the court, often takes the lead on water cases. In front of a full courtroom in a case (14SA303) with 44 water attorneys on file with the court, Hobbs was persistent in his questioning of Aurora’s attorney. Hamre conceded the 22 years of undecreed use by Aurora, but argued that those years should not be included in a calculation of how much transmountain water was historically consumed, and therefore could now be transferred. If Aurora’s years of undecreed use are included in a court’s calculation, it could mean “a significant reduction in the water rights’ transferable yield,” according to court documents. “This court has consistently treated transmountain water rights very differently than native water rights,” Hamre told Hobbs. 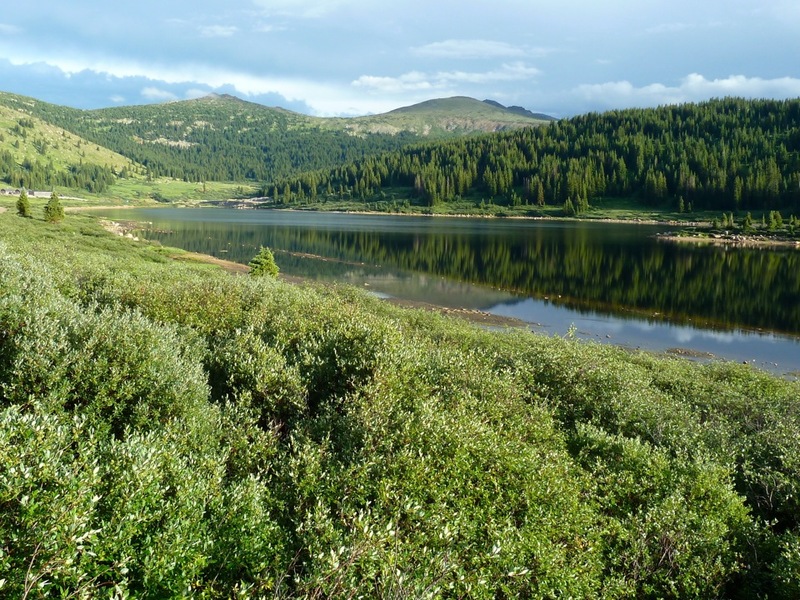 The Busk-Ivanhoe system gathers water from several tributaries of the Fryingpan and sends it into the Ivanhoe Reservoir, located in the far upper reaches of Pitkin County. The water is then sent through a tunnel under the Continental Divide and into Turquoise Reservoir near Leadville. The water then makes its way to either Aurora or Pueblo, which each own half of the water in the Busk-Ivanhoe system, which diverts a total of about 5,000 acre-feet of water a year. Aurora began buying its share of the water in 1986 and spent $11.25 million in the process, according to testimony in the case. Since buying the water, the city has used it for municipal purposes. During the back and forth in court Tuesday, Hobbs told Hamre it was a “problem” that Aurora didn’t notify the court that it no longer intended to use the water for irrigation. “If you no longer need it, then those on the West Slope, since you don’t have to draw as much, get to take advantage of it. They have junior rights, where they can take advantage it. You don’t need it for irrigation anymore,” Hobbs said. Hobbs also told Hamre he thought Aurora was seeking “a king’s X,” or special immunity from the law when it came to the use of transmountain diversion water. And a remand back to water court is what Pitkin County wants to see in the case. Pitkin County Attorney John Ely did not attend the oral arguments, but he heard afterward that it seemed to go well for the county. “The general impression from the various folks that I talked to was that there was a positive reception for the county and the state engineer’s arguments that the decision should be remanded back to water court,” Ely said. In 2009, Aurora applied to water court in Pueblo to change its irrigation rights to municipal rights. But Pitkin County and other entities challenged Aurora’s change application. In May 2014, a water-court judge sided with Aurora and did not include the 22 years of undecreed use in a representative period of use. 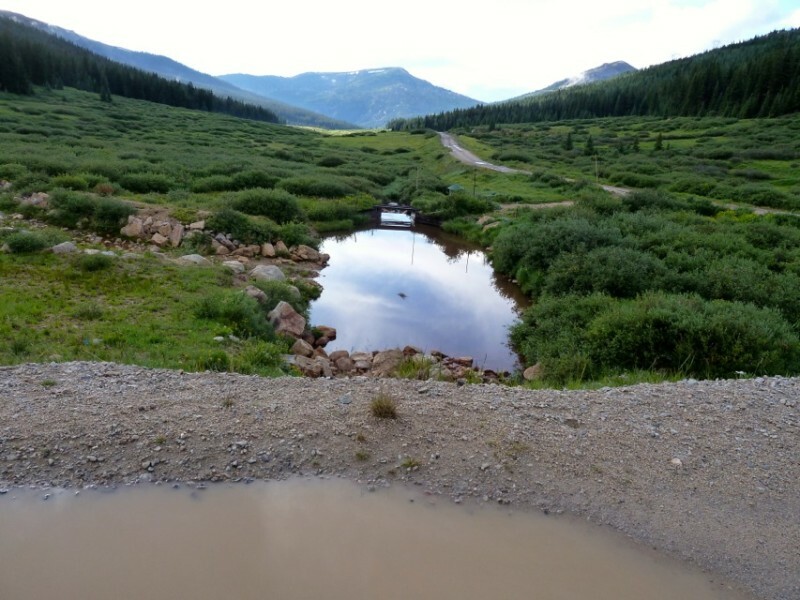 Pitkin County, along with the Office of the State Engineer, which oversees the administration of water decrees, then appealed the water court’s decision to the state Supreme Court, which directly hears appeals from water court. Meanwhile, the Colorado River District and a host of other Western Slope entities also appealed the lower court’s decision. They objected to the judge’s finding that Aurora historically had a valid right to store water on the eastern slope, even though its 1928 decree is silent on that point. An attorney for Colorado River District, which represents 15 Western Slope counties, told the supreme court Tuesday that even transmountain water needs a storage right. “Contrary to the position of Busk-Ivanhoe, the amici (friends of the court), and the holding of the Div. 2 water court, storage is not an implicit right of a transmountain diversion. A decreed right for storage is required,” Jason Turner, senior counsel for the River District, told the court. The Busk-Ivanhoe case recently attracted a list of Front Range entities, including Colorado Springs and Northern Water, who filed “friend of the court” briefs with the Supreme Court supporting Aurora’s arguments. And as the case progressed this year, the state legislature was prompted to pass a new law seemingly aimed at pre-empting the supreme court’s possible decision to include Aurora’s 22 years of undecreed use, which would shrink the size of Aurora’s water rights. At the last minute, the bill was amended at third reading to only apply to new cases, and not the Busk-Ivanhoe case pending before the Supreme Court. However, the process showed the power that Front Range water interests have to shape Colorado water law. Ely said the Legislature’s action limits the potential scope of a decision rendered by the Supreme Court. Editor’s note: Aspen Journalism is collaborating with The Aspen Times on coverage of rivers and water. The Times published this story on June 4, 2015.